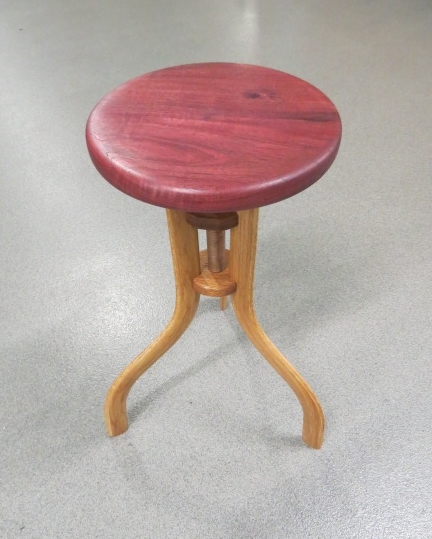 The seat is made from Purpleheart, all off the other parts are American White Oak. 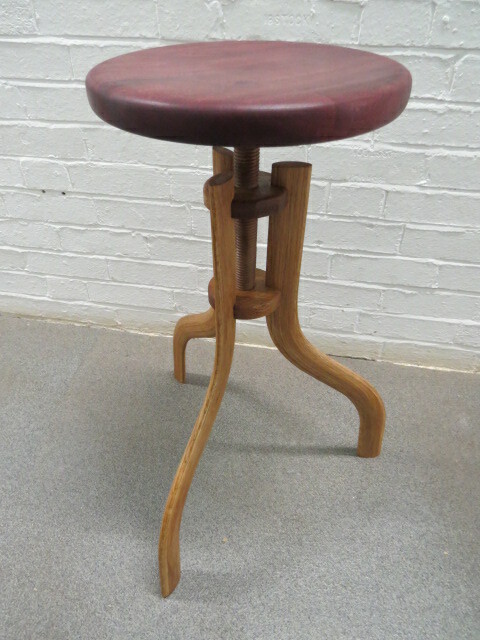 I wanted to make a stool that pushed the boundaries for me. I like the industrial metal stools and wanted to make it all in timber. The elliptical section of the legs is more challenging and visually as you walk around the stool the legs look different. Seventeen strips to each leg make it strong but also it had to be glued up fast. I had problems with threading due to a small group of knots. A de-lamination issue with the legs (only one thickness) but I will revise my method and see if it improves strength. Everything about this stool is excellent! Well done!